Jens Stanislawski & Miko Ogawara — The original owners sold Shalom to my uncle after she was damaged in a hurricane. 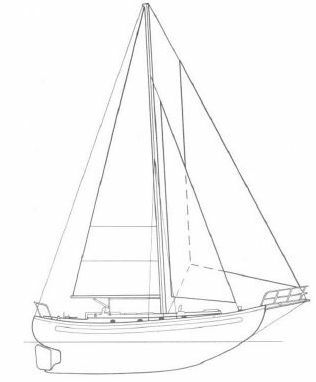 Shalom was then fully restored in Morocco, and we sailed her to Sweden (Gaevle) this summer, which will be home port for Shalom. We have decided to keep the name, as per Swedish tradition. We are very pleased with Shalom, and the previous owners took great care of her. The LN35 makes a great impression in Sweden, where very few such boats have been seen.